At the June 14, 2008 Hockey Alberta Awards Banquet held at the Capri Hotel & Convention Centre in Red Deer, Joyce and Roy Ruptash received the Hockey Alberta Meritorious Award. 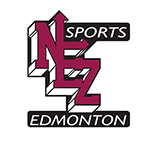 Joyce & Roy have be involved as volunteers within Edmonton minor sports since 1968. From coaching, coordinating an all star game to becoming Directors for the Northeast Zone Hockey program in the Atom category there’s nothing this pair have not done. They have both received prestigious awards for their hard work and dedication including EMHA Lifetime Member awards.